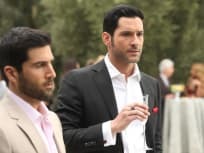 As Lucifer (Tom Ellis) and the team investigate the murder of a child psychiatrist, Ella (Aimee Garcia) thinks about a big childhood secret that she’s been hiding. 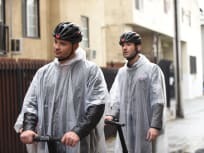 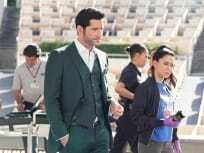 On Lucifer Season 3 Episode 24, Lucifer has an epiphany, Maze decides to mend a broken friendship and Chloe finally sees the truth on the season finale. 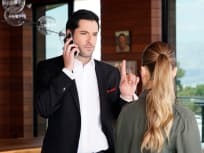 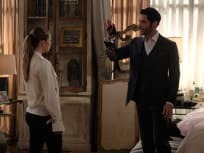 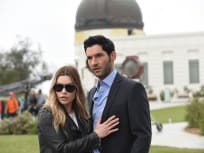 On Lucifer Season 3 Episode 19, Maze is the suspect in a murder and wants to go back to Hell, while Lucifer and Chloe enter the world of bounty hunting.